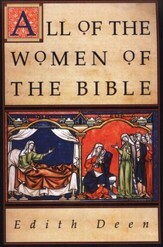 Dr. Herbert Lockyer provides a convenient commentary on all the named--and unnamed--women of the Bible, from Abi to Zipporah. 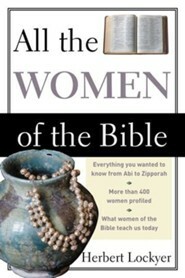 You'll discover how the lives and character of different biblical women mirror the situations of women today. More than 400 concise, fact-filled entries provide fascinating and thought-provoking insights, whether you're conducting a Bible study group, speaking in public, or simply deepening your personal understanding of God's Word. 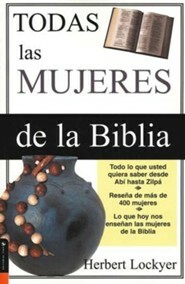 Each entry begins with a Scripture reference and 'name meaning' when appropriate. 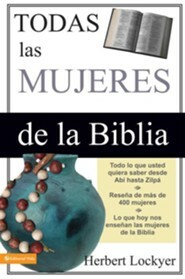 Plus the introduction surveys the cultural changes experienced by women from the Old Testament to the New. 321 pages, softcover. The Life and Times of All the Women of the Bible Dr. Herbert Lockyer provides a convenient commentary on all the named--and unnamed--women of the Bible, from Abi to Zipporah. 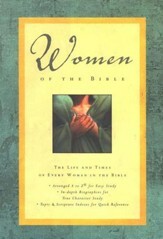 Youll discover how the lives and character of different biblical women mirror the situations of women today. More than 400 concise, fact-filled entries provide fascinating and thought-provoking insights, whether youre conducting a Bible study group, speaking in public, or simply deepening your personal understanding of Gods Word. Herbert W. Lockyers "All" books give you life-enriching insights into the Bible. From characters you can learn from, to teachings you can apply, to promises you can stand on and prophecies you can count on, Lockyers time-honored works help you wrap your mind around the Bible and get it into your heart. 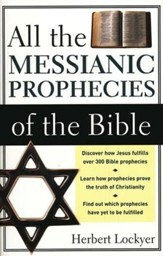 Lockyers books include All the Apostles of the Bible, All the Divine Names and Titles in the Bible, All the Doctrines of the Bible, All the Men of the Bible, All the Women of the Bible, All the Messianic Prophecies of the Bible, All the Miracles of the Bible, All the Parables of the Bible, All the Prayers of the Bible, and All the Promises of the Bible. 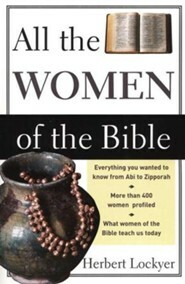 I'm the author/artist and I want to review All the Women of the Bible [Paperback].